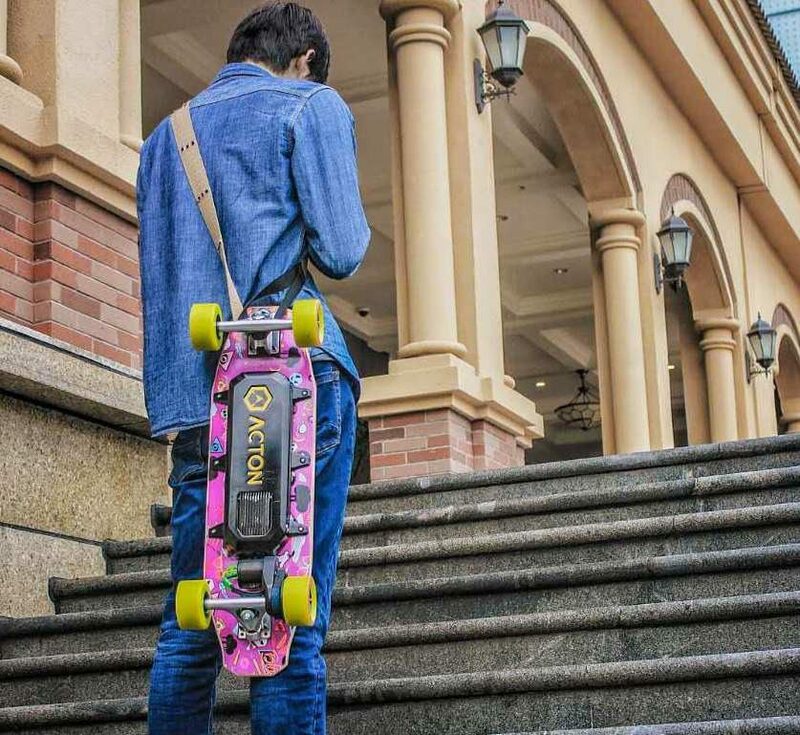 The ACTON Blink Board is the World’s lightest electric skateboard! Weighing in at a mere 9 lbs., the Blink will get you places smarter and quicker! The hands-free, lightweight board is controlled by the included remote, giving riders the ability to set the speed of the board. USER WEIGHT Max 220 Lbs. Acton “Blink-Board” electric skateboard controlled with your phone. Acton is now entering the growing electric skateboard market and hoping to cruise to success on the strength of an iPhone-based remote control system. 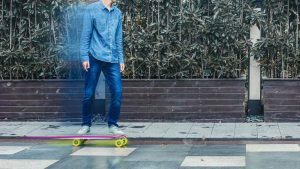 “It’s quite small so you can take it anywhere you want to go,” Peter Treadway, Acton’s CTO, told Mashable, adding that the board weighs 10 pounds, which might be just light enough to sling over your shoulder. It comes with a carrying strap for when you’re not riding it. He said that most of the long boards are designed for longer commutes. “We wanted to get more people to ride the short distance who wouldn’t normally be doing it,” said Treadway. 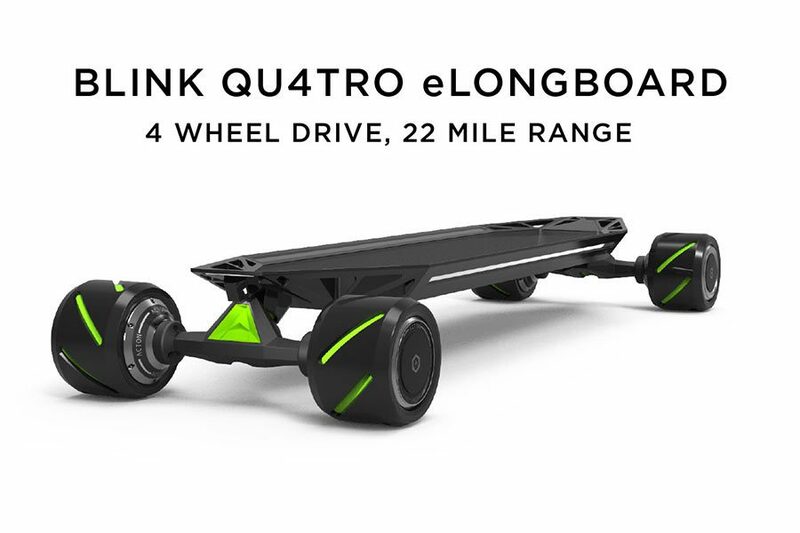 The all electric Blink-Board comes with a remote control, but if you leave the remote behind, your iPhone, with the Acton app, of course, can double as a remote. To ride it, you hop on the maple wood deck and hit go on the app or use the throttle toggle on the remote. “There’s no soft push start,” explained Treadway. The board charges in a couple of hours and can ride, claims Treadway, six miles on a charge. The app will keep track of the board’s charge and let you connect with the Blink-Board riding community. 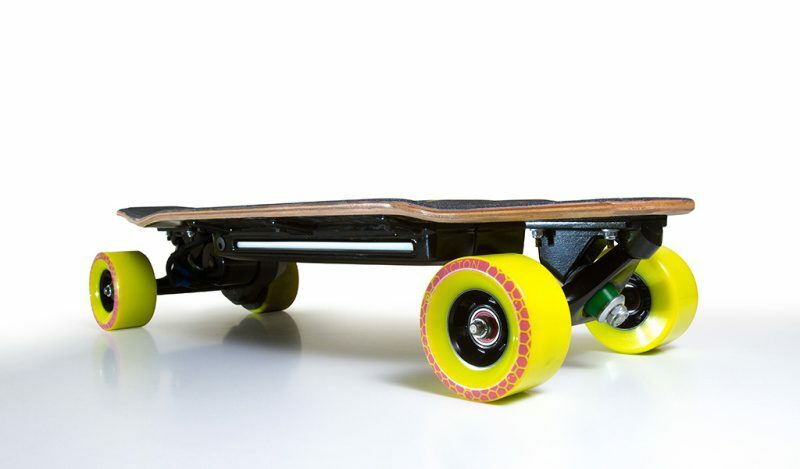 With a max speed of 12 mph and a max load of 250 pounds, the Blink-Board’s wheels — or “trucks” as they’re called in skateboard lingo — are very close to the front and back edges of the board for better stability. The board is also equipped with some LED accent lights.